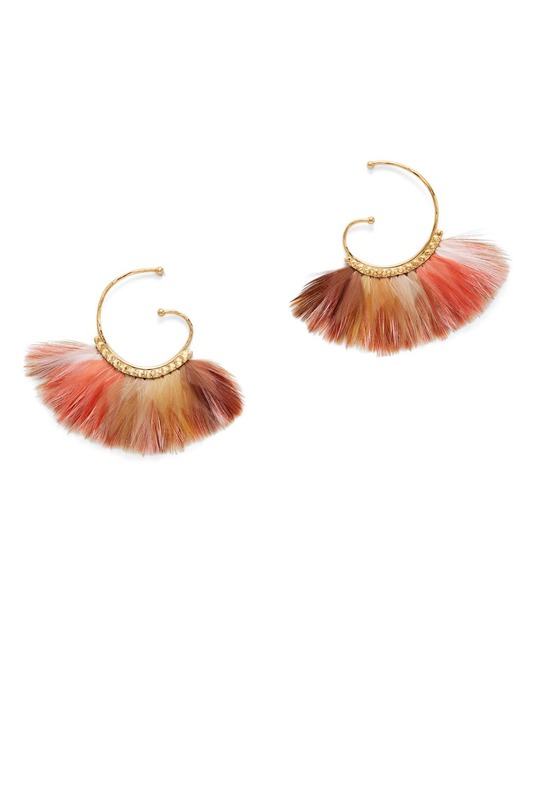 Add ethereal whimsy to your look with these Gas Bijoux earrings made up of multicolor plumes. 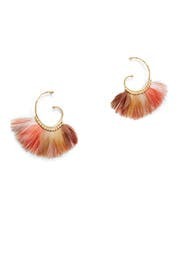 24K gold plated swirl earrings with light pink multicolored feather accents. Post backs for pierced ears. 2.5" long. These were just too big for my petite stature!